California, often considered to be one of the healthiest states in the US, has recently settled a claim against PepsiCo's sports drink company, Gatorade, over a game that gave the impression that water was bad for athletes. The game “Bolt” was released in 2012 and featured Gatorade-sponsored Olympic athlete Usain Bolt sprinting through a series of challenges to accumulate points. In the game, Bolt would speed up when he touched a Gatorade icon and slow down when he touched a water droplet. 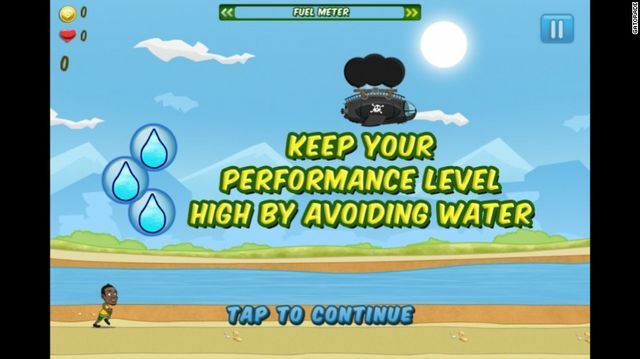 The marketing message that Gatorade was better for athletes than water was reinforced by the instruction for the game's largely teen and adult users to "keep your performance level high by avoiding water" (see image below). According to Gatorade's own figures, the game was downloaded 2.3 million times between 2012 and 2017 with more than 70% of users in California aged between 13 and 24 years old. While most people know that drinking water can never be a bad thing, this isn't necessarily understood by teenagers who frequently pick high sugar soft drinks over water. Indeed, it was the high sugar content of sports drinks which particularly troubled California, noting in its press release that one 32 ounce bottle of sports drink could contain more than double the 25 grams of added sugar that any child or teenager should consume in an entire day. California alleged that Gatorade's statements about water were clearly false and misleading and, when deliberately aimed at children at teenagers, were morally wrong and a betrayal of trust. Gatorade no doubt needed some cold water to help get over the shock of having to pay California $300,000 to settle the claim. Of this amount, $120,000 will be used to fund research or education on water consumption and the nutrition of children and teenagers. The settlement also prohibits the company from negatively depicting water in any form of advertisement. Although this is a Californian law case, there is no doubt that the ASA would consider that Gatorade's claims were misleading and in breach of sections 3 and 15 of the CAP Code. Under the ASA's tough new rules on the advertising of high fat, salt or sugar (HFSS) food or drink products, Gatorade would not be able to promote its sports drinks in the Bolt advergame in the UK if the game was directed at or likely to appeal to children. Using sporting celebrities popular with children such as Usain Bolt to promote HFSS products is also a banned practice. The changes are designed to help protect the health and wellbeing of children and come in response to wider concerns in society about childhood obesity and the public health challenges it poses. Advertisers and their agencies in the UK are reminded to comply with the new HFSS requirements and ad placement restrictions to avoid getting in a sticky situation like Gatorade. “Making misleading statements is a violation of California law. But making misleading statements aimed at our children is beyond unlawful, it’s morally wrong and a betrayal of trust. It's what causes consumers to lose faith in the products they buy,” said Attorney General Becerra.